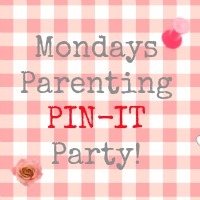 Happy Monday folks and welcome to this weeks’ parenting pin it party which is being hosted by yours truly this week, yay! This means I get to choose two favourites from last weeks entries. There is a fun food theme to this weeks’ choices and the first from the fabulous eats amazing could be very handy for anyone facing the prospect of packed lunches for the first time this September. I also recently ordered some cutters and food picks from this site and they have been a HUGE hit with my two. Thank you Grace. Do check out the post below. The second is a really fun idea from Dabbling Momma. These traffic light Graham-cracker-popsicles look great fun for the kids to make. Simple but brilliant. Do stop by and find out how to make them. So, again, a huge thank you to our featured pinners. We do hope you will link up again this week and we have even made you a special badge should you wish to display it. And now, the magical linky-list awaits. Lets get pinning peeps. Thank you so much for featuring our graham cracker traffic lights!! Thanks for hosting. I actually have a post to link up today! Yay, thanks for joining in. 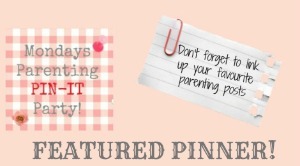 Love this linky – you can never have too much to pin! !